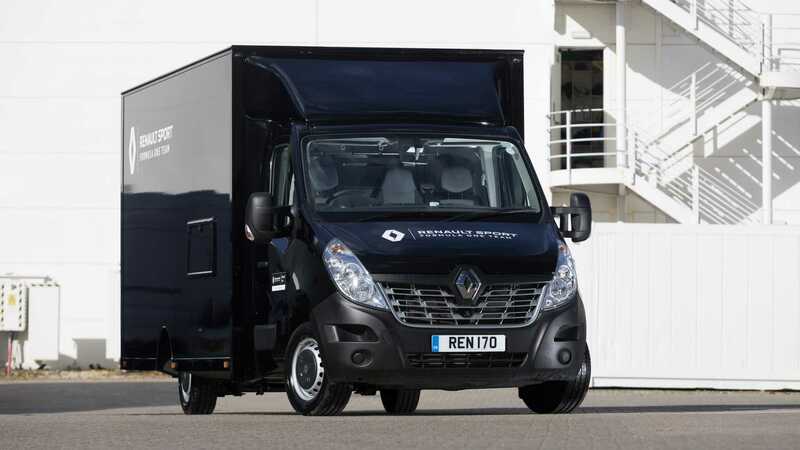 Can a Renault Master fit a Formula 1 car inside it? It's a question we often ask here at Motor1*, and now we finally have an answer. 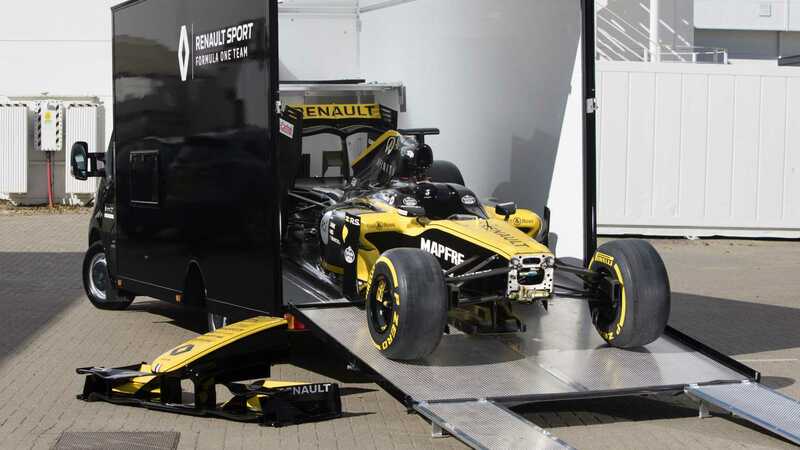 The French manufacturer's F1 team specced its own Master via the Renault Accredited Convertor program in order to create a single car transporter to move its showcars around Europe. 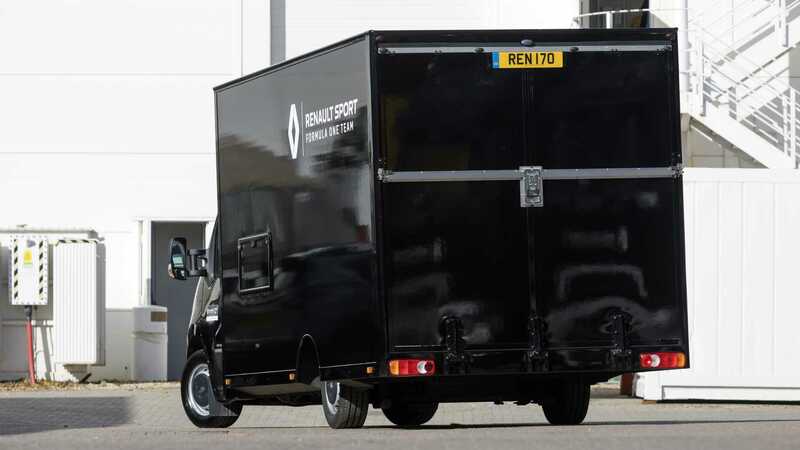 Use of the customized van allows Renault to easily move static show pieces around the continent to around 200 events each year, while not only making life easier, but keeping the costs down. "Having the transporter has made a major impact on the efficiency of our show car operation," said Tim Baston, Static Show Car Supervisor, Renault Sport Formula One Team." It's constantly out at events, going as far afield as Spain, France and Belgium, and its ease of use means we are saving in all areas, particularly in manpower as only one person is now needed, which allows us to enjoy financial gains in traveling expenses and also grow productivity back at base." "The sheer speed in which the Master can be loaded and out on the road also allows us to take advantage of last-minute opportunities in terms of transporting our vehicles for additional purposes, while there's also been a great deal of positive feedback on the actual drive and the quality of the conversion," added Baston. "It's simply made moving our show vehicles a whole lot easier and more cost-effective." The F1 team's van is based on the FWD, 3.5-ton Master Platform Cab (LL35), powered by a twin-turbo 170-hp dCi 170 2.3-liter diesel engine. The van's payload 844 kilograms (1,861 pounds), making shifting an F1 show car simple. A show car – which is effectively an older F1 car with the engine and other key components removed and replaced with a spaceframe – weighs only 350 kg (772 lbs). "To have Renault Sport Formula One Team as a customer of our accredited converter programme is a superb illustration of how our specialized, bespoke vehicles are created to the highest standards and tailored to our clients' individual requirements," said Vincent Tourette, Managing Director, Groupe Renault UK. "The Master conversion strengthens the partnership between Renault Pro+ and the team and we are exceptionally pleased that it is playing a major role in the logistics behind raising awareness and the profile of Renault Sport Formula One Team throughout Europe."